Are you a nail biter? Do you bite off your sewing thread like this patient does? These traumas add up against the cutting surface of your front teeth. As a result, chipping and fracturing of your thin tooth enamel occurs. This is shown in the bottom photo. 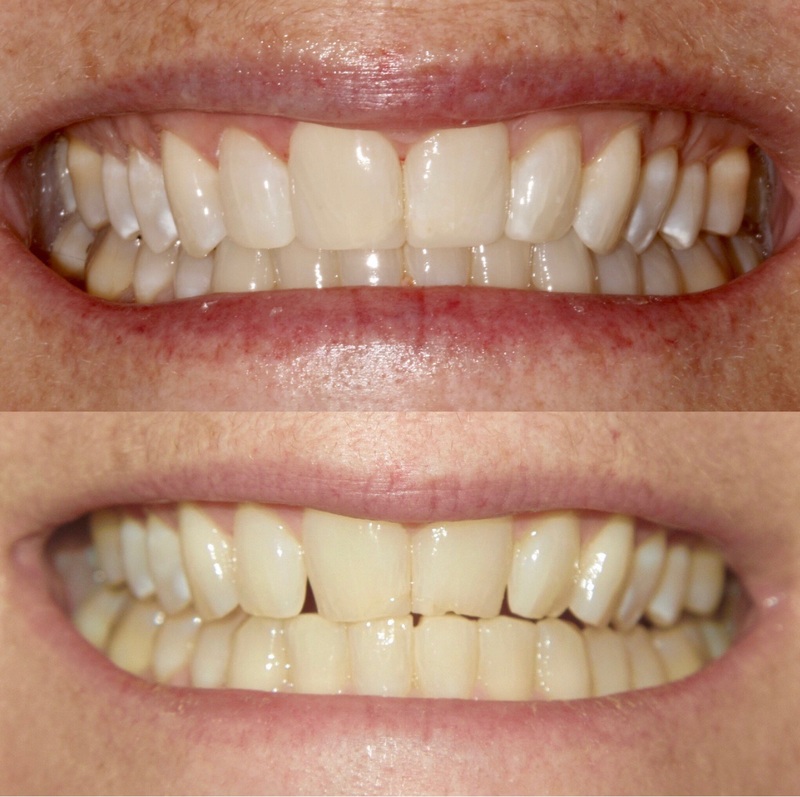 Drs Drew restored this already beautiful smile with simple at-home whitening trays and conservative, non invasive composite bonding. No further tooth structure was taken away. Call Aptos Dentists, Dr. Allyson Drew and Dr. Jason Drew today to schedule a free consultation. Drew Dental is a leader in Cosmetic and Preventative Dentistry. 831-688-6060.